Anna1 is a spacious ground floor apartment. We have owned this apartment since it was built in 2008. This apartment consists of a large open plan living area and 3 double bedrooms: 1 with kingsize bed and en-suite shower room , 1 with double bed and 1 twin with 2 single beds. there is a large family bathroom with heated towel rail. Anna 1 has twin bifold doors that open onto a large enclosed patio area. The apartment has solid oak floors with underfloor heating. The kitchen has oven/hob/extractor, dishwasher, microwave oven, fridge freezer and coffee machine. Free wireless internet is provided in the apartment. The apartment also has its own reserved underground parking space for one vehicle during your stay. There is a on-site spa facility that you will enjoy free access to during your stay(subject to local opening times , swimming pool, sauna and steam room. Large terrace area with fence all round. 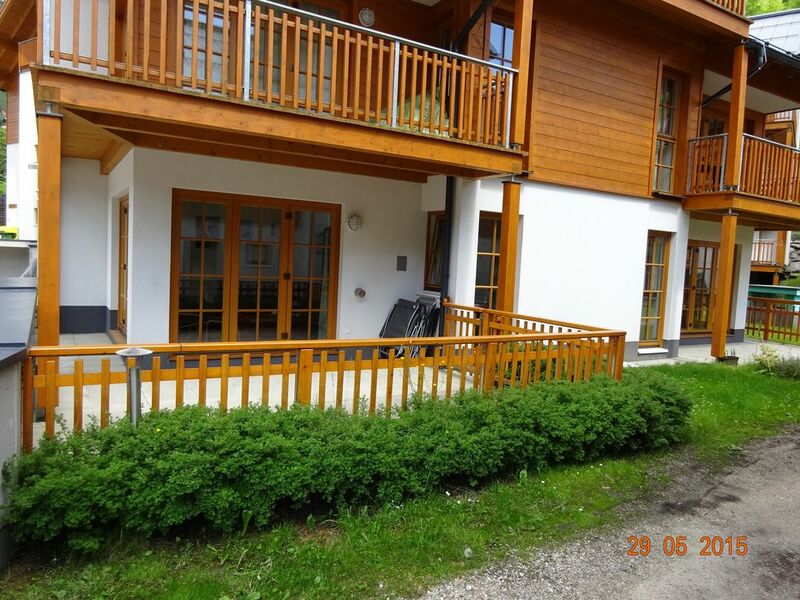 Excellent well kept apartment, well equipped and great location. Just had a great week in Rauris, perfectly situated for ski lifts, schools etc. Lovely and warm and plenty of space. Highly recommend. Prima uitvalsbasis van waaruit je diverse activiteiten kan ondernemen. Woning is goed onderhouden, netjes en alles wat je nodig hebt is aanwezig. No smoking in apartment. No ski's or snow boards in apartment. Tourist tax is payable locally to our representative. If non payment of tourist tax occurs funds will be taken from the deposit to cover the cost. Check in : 15.00 / Check out : 10.00 Maximum occupancy : 6 Minimum age of primary renter :25 Parties not allowed.